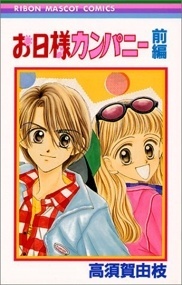 Asahi, a girl, falls for Kaoru, a music freak, who happens to be oblivious to girls. At the moment, he has his heart set on buying his dream guitar but isn't old enough to hold a stable job. Asahi agrees to help him buy this guitar because she wants to get closer to him and give him the chance to get to know her. Will he be able to break his sole love for guitar and give Asahi the chance?